If you've found a designer dress online, you can probably find it here. 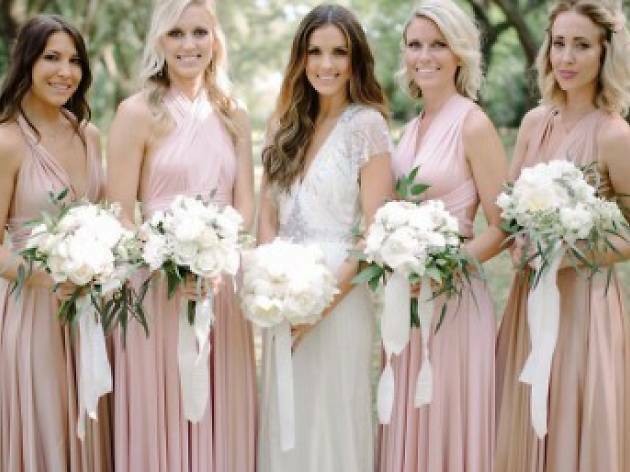 Once located on 3rd Street near the Grove, Bella Bridesmaids has moved to Beverly Hills, but customers can still expect the same impeccable service and the wide variety of designer bridesmaid dresses—they claim to have the largest selection of designer bridesmaid dresses. From Donna Morgan and Hayley Page to Jenny Yoo and Monique Lhuillier, you'll find all of the major designers here, but be sure to make an appointment beforehand. 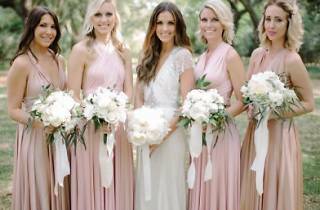 Convienent for brides with bridal party members outside of L.A., Bella Bridesmaids also has showrooms in Newport Beach and San Francisco and will ship to anywhere in the U.S. Prices vary per designer but are generally in the $200-$400 range.